“When I was ten, I read fairy tales in secret and would have been ashamed if I had been found doing so. Now that I am fifty, I read them openly. When I became a man I put away childish things, including the fear of childishness and the desire to be very grown up.” – C. S. Lewis, “On Three Ways of Writing for Children,” On Other Worlds (Harcourt, 1966), 34. What kind of books did Lewis and Tolkien want? Simply put: stories of derring-do, daunting quests, compelling safaris of the spirit, set in landscapes populated by fantastic characters and “talking beasts” that intrigue and delight through repeated encounters. Escapist? Not so, said Lewis and Tolkien. Neverlands not only invite their readers to renew a sense of child-like adventure, they also route them to a central theme that challenges the accepted wisdom of the present age, helping them put this world in perspective as well. Fairy tales push us through a literary portal into a universe more grand, more romantic. More enrapturing than our own, a place where one may witness justice reigning, and the good, the true, and the beautiful honored and celebrated. For both Lewis and Tolkien the imagination tapped by such visits brings us back in touch with the primary means by which we come to make sense of what we euphemistically call the “real world” in the first place. Reason may give us the “facts,” but it is the imagination that allows to put such facts in meaningful order. As Lewis viewed it, the imagination provides humankind the rationale for trusting reason in the first place, uncovering the gestalt of life’s meaning—its enchanted core. In the Narnian Chronicles, as elsewhere, Lewis rewards the child’s and entreats the adult’s imagination with a re-enchantment he found in the fairy tales he was forced to read “in secret,” but now exhorts us to read “openly.” What do I mean by “re-enchantment”? Simply put, to re-enchant is to un-inhibit the seeker who wishes to embrace the spell cast at the beginning of this cosmos, to see it as this world once was, and as it might well still become. The “original spell,” of course, is our creation in the image of God, who has spoken or “spelled” our world into existence by His mighty Word. The Gospel is literally and decidedly a “Good-Spell,” a “good word,” which can tell us our true story and heal us when we believe it. In reading Narnia we may have our vision corrected, our line of sight cleared; our hearts restored as a faculty for seeing transcendently. The imagination, unfettered, serves as a counterpart of and, though often discredited, as a vital complement to Reason. Inside Neverland, we begin to recognize that truth comes to us not only through words and propositions, but also through what is mediated beyond the words, through images and patterns, through “groanings too deep to be uttered.” There are some things—maybe most things—that are too momentous and too wonderful to be grasped by logic and reason alone, something radical and demanding that we cannot apprehend through the intellect alone. Lewis and Tolkien both were convinced that newly constructed Neverlands, set in Cair Paravel or Middle-earth, could serve as “alternate histories,” winsome, redemptive tales that would point readers inauspiciously toward the renewed pursuit of a promised destiny. Histories alternative to what? Simply put, the tendentious and debilitating histories that disenchant the spirit, evincing a naturalism that reduces men, women, children–even whole civilizations–to instincts, impulses, genetics, environments. Written for recovering moderns and postmoderns, Lewis’s narratives are designed to equip them “with ears to hear, and eyes to see,” to assist them in refuting the notion that we are “cosmic accidents,” but rather immortals whose dreams and visions point them to longings they cannot account for in mere “scientific” terms. “If I find in myself a desire which no experience in this world can satisfy, the most probable explanation is that I was made for another world. If none of my earthly pleasures satisfy it that does not prove that the universe is a fraud. Probably earthly pleasures were never meant to satisfy it, but only to arouse it, to suggest the real thing. If that is so, I must take care, on the one hand, never to despise, or be unthankful for, these earthly blessings, and on the other, never to mistake them for the something else of which they are only a kind of copy, or echo, or mirage. I must keep alive in myself the desire for my true country, which I shall not find till after death; I must never let it get snowed under or turned aside; I must make it the main object of life to press on to that other country and to help others to do the same” (Macmillan, 1960, 120). From Hobbiton to Narnia, from Perelandra to Cair Paravel, and on to Mordor and Malacandra, Lewis and Tolkien invite us to re-enchant the cosmos, keeping alive the promise and animating the search for the world beyond the world. Long before Willy Wonka or Harry Potter appeared on the scene, they were establishing an outpost on the edge of doubt, opening the wardrobe door to help us realize the object of our longing, and the true end of our journey. Bruce L. Edwards is Professor of English and Africana Studies, and Associate Vice Provost for Academic Technology at Bowling Green State University in Bowling Green, Ohio, where has he been a faculty member and administrator since 1981. He has served as a C. S. Lewis Foundation Fellow at the Kilns in Oxford, England; a Fulbright Fellow in Nairobi, Kenya (1999-2000); a Bradley Research Fellow at the Heritage Foundation in Washington, DC (1989-90); and as the S. W. Brooks Memorial Professor of Literature at The University of Queensland, Brisbane, Australia (1988). Bruce and his wife, Joan, live in the mighty metropolis of Bowling Green, Ohio, and have four grown children, ranging in age from 24 to 34. His C. S. Lewis: Life, Works, and Legacy (4 volume encyclopedia) was published by Praeger Press in 2007. Bruce’s other books on Lewis and The Chronicles of Narnia include: Not a Tame Lion (2005) and Further Up and Further In: Understanding C. S. Lewis’s The Lion, the Witch and the Wardrobe (2005), A Rhetoric of Reading: C. S. Lewis’s Defense of Western Literacy (1988) and The Taste of the Pineapple: Essays on C. S. Lewis as Reader, Critic, and Imaginative Writer (1988). 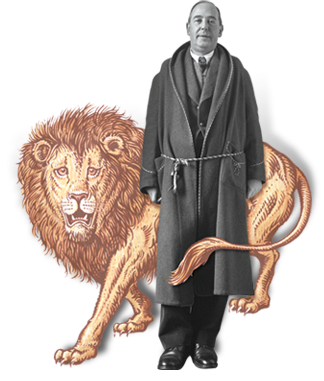 He has since 1995 maintained a popular web site on the life and works of C. S. Lewis at www.cslewisblog.com. This entry was posted in Bruce L. Edwards and tagged fantasy, Kilns, narnia, postmodern, Space Trilogy.